There seems to be a slight popularity shift in aquascaping, I’m seeing this term brought up more often. 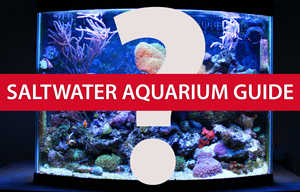 Aquascaping goes beyond the typical aquarium setup expectations. What is aquascaping? Basically it is the process of setting up an underwater environment much in the same way that you might approach setting up a garden or landscaped area. But walk into Aqua Forest Aquarium, a shop on Fillmore Street near Japantown, and the old assumptions fall away. As its name implies, Aqua Forest doesn’t sell aquariums so much as self-contained aquatic ecosystems. Looking into one of tanks is like peering into a triple-canopy rain forest: varying levels of vegetation growing on sand substrates, with driftwood and rocks creating a sense of wild, expansive vistas; small fish and freshwater shrimp dart around the foliage, glittering in the muted green light. If you’re looking for a great way to reduce some stress in your life, you may want to consider setting up a small aquascape-type of aquarium. You don’t need to have a lot of fish, and they can be very easy to maintain once you get a balanced eco-system running. Plus they can be very calming. Great for offices. Aquariums have long inhabited the uneasy terrain between obsessive avocation and kitschy interior decoration. Sure, they’re fine for the introverted adolescent with a bent for the natural sciences, and they’re a standard design element in many restaurants. In popular action films, they’re often employed as a central feature in the lairs of drug lords or villainous corporate CEOs – perhaps because they explode so spectacularly when stitched with gunfire.